Media reports last week linked the use of “nangs” to the death of a teenager at schoolies week on the Gold Coast. Hamish Bidgood died when he fell from a balcony. He and his friends had reportedly been using “nangs” that day. Nangs is a slang term for nitrous oxide, an anaesthetic that has been used for more than 100 years. Most people probably know it as laughing gas. In a medical setting, it is usually inhaled, mixed with oxygen, through a small mask that fits over your nose. It is generally used to help you relax during procedures that don’t require a general anaesthetic, such as childbirth and minor dental surgery. It has been used to help people withdraw from alcohol – with mixed results. Nitrous oxide is also used as a propellant to make whipped cream, sold at supermarkets for around A$10 for a box of ten canisters, and in the automotive industry to improve engine performance. It has been used recreationally since the late 1700s, when British aristocrats held “laughing gas parties”. With the expansion of its use in medical settings in the late 1880s, and hence its availability, it became more popular as a recreational drug. Nitrous oxide provides a short-lived (20 second) high, in which people who use it feel euphoria and relaxation. They can also feel dizziness, have difficulty thinking straight, and fall into fits of laughter. In higher doses, some people report a sense of floating and dissociation of the mind from the body, which is why in medical circles it is referred to as a dissociative anaesthetic. If a person has small infrequent doses, there is a low risk of significant problems with this drug. It is very rare to overdose from recreational use of nitrous oxide, but it can affect coordination and judgement. Overdose deaths have been reported in the United Kingdom and United States but we are not aware of any in Australia. 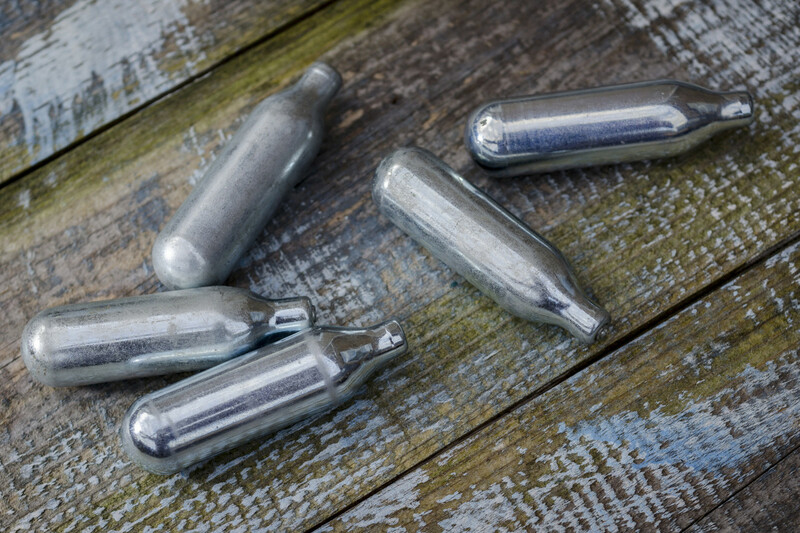 Nitrous oxide is the seventh most popular drug worldwide, excluding caffeine, alcohol and tobacco. Lenscap Photography. Given the effects on coordination and dizziness, it shouldn’t be used in risky situations and it’s advisable to have a person present who isn’t using. In very large doses, without the addition of oxygen, it can cause loss of blood pressure, fainting and even death by hypoxia (oxygen deficiency). Chronic, regular heavy use is very rare, but can lead to a vitamin B12 deficiency. B12 is essential for good brain functioning and if left untreated can lead to irreversible neurological problems. Given its easy availability as whipped cream bulbs, the drug seems to be growing in popularity among young people.Recent media stories have reported a “nang epidemic”. One newspaper claimed schoolies have been spending thousands of dollars on nitrous oxide. But the story seems to be based on a single Facebook post in which one alleged school leaver said they had spent “A$49,000 on nangs”, which equates to about 49,000 bulbs. It’s likely he was embellishing for his Facebook audience. We don’t know for sure how many young people use this drug, or how often. Our best data source for population drug trends in Australia, the National Drug Strategy Household Survey, doesn’t specifically ask about nitrous oxide use. Respondents to the Global Drug Survey put nangs as the seventh most popular drug worldwide, excluding caffeine, alcohol and tobacco. Should we ban this drug? Concern about the behaviour of youth is not new, and moral panic about drugs, in particular, is often part of this perennial worry about young people. It is well documented that the media can influence perceptions and interest in drug use, and poor media reporting can work as an advertisement for drugs, piquing curiosity and normalising use. The concern is that media-driven panic about drugs can create a perception that more people are using the drug than they actually are, and when teens think “everyone” is doing it, they are more likely to want to do it too.Research has shown that interest in a drug peaks after widespread media coverage and that restricting the availability can lead to increased use. Prohibiting drugs does not prevent people using them, and more harmful unregulated products can emerge. Alcohol Prohibition in the 1920s, for example, merely led to demand for illicit supply that had high alcohol content and contained impurities that caused blindness, paralysis and death. So banning nangs could cause more harm than it prevents. And it could lead to some very disgruntled whipped cream fans as well.